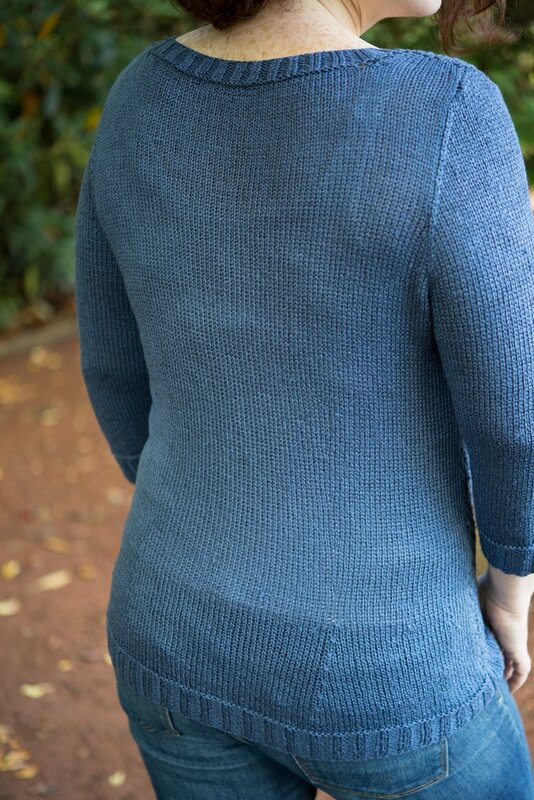 Coracle was Amy's sweater for the 2014 SSKAL, and represents the kind of sweaters she most likes to wear in the warmer months - light, drapey, and comfortably relaxed. Its 3/4 sleeves, wide neckline, and mid-hip length all work gloriously with the front's all-over mesh pattern to create a lighter-than-air, ultra-comfortable "sweatshirt" sweater. The sample was worked in Rowan's TrueSilk yarn, a 100% silk chainette construction yarn that has great elasticity and utterly glorious drape. There are plenty of seams in this sweater to counteract the silk's drape and the sweater's relaxed fit - the result is stunning. This sweater includes waist shaping worked on the back only, which relaxes the garment's fit even more and allows for a smooth, unbroken lace front. When choosing yarn for your version of Coracle, please choose fibers with good drape and sheen if you'd like your sweater to look like the sample.